The Gift No One Else Can Give: 4 Ways to Cultivate our Cause. As a first-time English teacher in Thailand, I had one constant source of frustration: my students’ unwillingness to tackle open-ended or opinion-based questions. It was a tough concept to wrap my head around, but it was one my Thai co-worker, Sriprae, helped me understand. Two years after this initial conversation, Sriprae is now writing her thesis on critical thinking in the classroom. She’s excited to begin classroom trials, but she’s also nervous. The world is made up of individuals, each with the ability to contribute to change. All we need to do is start with one. Planting a seed can help others bloom. Those of us who spend time listening to the news can quickly feel paralyzed by the overwhelming prospect of making a lasting impact. The sheer enormity of the issues the world faces makes it hard to even know where to start. One thing I know is that lasting change comes only when an individual decides to change. I am always looking for ways to instill confidence in my students, because I believe it’s the primary catalyst for this change. The goal is to give them something that nobody else can provide or recognize as important. Sometimes, it’s an example of bravery; other times, it’s giving someone the push or the permission to confront adversity. I first met Milk as a high school senior interested in applying to art school. However, after the first few months of working toward that goal, she came to me with an immediate and unexpected pivot: She said she’d rather study architecture than art. Something about it didn’t sit right, so I dug a little deeper. Slowly, the story came out. Milk’s father—the one paying for her college education—wanted her to study architecture. When I asked her whether she wanted to go to art school, she nodded through her tears, unable to look at me. So we studied for art school. We perfected her portfolio, and we did mock interviews for hours on end. And on days when she was too nervous to go through with it, I told her not to worry because I doubted the interviewers would have much time to talk about anything but her name. It worked, and Milk got in. Her father eventually came around and even sent her younger brother to study with me when the time came for him to go to college. It was never about art over architecture—it was about carrying on even when our confidence is shaken. Cultivate your cause with patience and kindness. When I was young, I took much of what was done for me for granted. When I reflect upon it, I realize not everyone was afforded the same generosity as I was. Not only that, but the people who invested in me didn’t do it out of some sense of “charity.” They did it because they genuinely loved me and believed I had something to contribute. Kindness and encouragement should be contagious. When someone shows it to us, it’s our job to exhibit it toward others. It’s easy to get on board with the sentiment of paying it forward. We all know we want to do good, but when the feeling fades and life gets in the way, we often fail to put action behind our feelings. 1. Give it time to grow. Real change grows from real relationships; building genuine bonds takes time and patience. Short-term volunteer trips are enticing, but learning to relate to someone with a different mindset is a long process of trial and error. Spend quality time with someone to build the kind of enduring relationship that allows him or her to share things that others might not understand. Though it may be tough at first, this approach can bring change in one person that can affect the lives of so many others. It’s easy to say that we don’t give in order to get back. But the mindset of Western-oriented business makes it difficult to not constantly evaluate the outcome of an investment, whether it involves time, effort or money. A student of mine from summer camp, Nong, dreamt of exploring Phuket. My helping him fulfill that wish profoundly affected him in ways I would have never imagined. To this day, he maintains that the time we spent at the water park, doing yoga on the beach and riding a scooter were the best times of his life. I still hear from him and several of the students who attended that summer camp, and two of them have even returned as volunteers. It’s always wonderful to see this kind of harvest from the seeds we plant, but this is the exception, not the rule. We more often find ourselves giving without knowing the impact. We have to realize that the results we do see are gifts, not guarantees. It’s our nature to evaluate our investments, but people are not an absolute unit of measure. When we invest in people, we need to believe in the value of impact we may never see. This may seem like common sense in a volunteer setting, but it’s easy to get caught up in the needs of an organization and forget the importance of individuals. A volunteer organization is the byproduct of someone’s dream to help others and to leave the world better than he or she found it. But there are places organizations can never reach and problems they can never solve. Some of the biggest transformations happen between individuals. Pursuing these relationships is as important as anything that can be accomplished through pursuing a service within an organization or by rallying behind a cause. For me, this has meant things like learning more Thai, giving up full-time employment, removing students from my program who weren’t committed, or giving up on classes that weren’t accomplishing the goals I’d set forth. Exhibit the patience and kindness to inspire change in someone. If we put the time and effort into the right cause, we’ll find the seeds we plant will turn into something that grows for years to come. 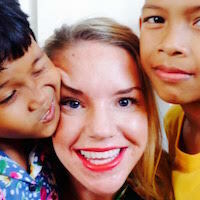 Kathryn Dillman is the founder of Make Our Day, a nonprofit organization that supports education and activities for children from low-income housing in subpar school districts of Phuket, Thailand. Dillman established Make Our Day in 2014 as a way to provide educational alternatives and cultivate curiosity, creativity, and resilience in students forced to grow up too quickly. 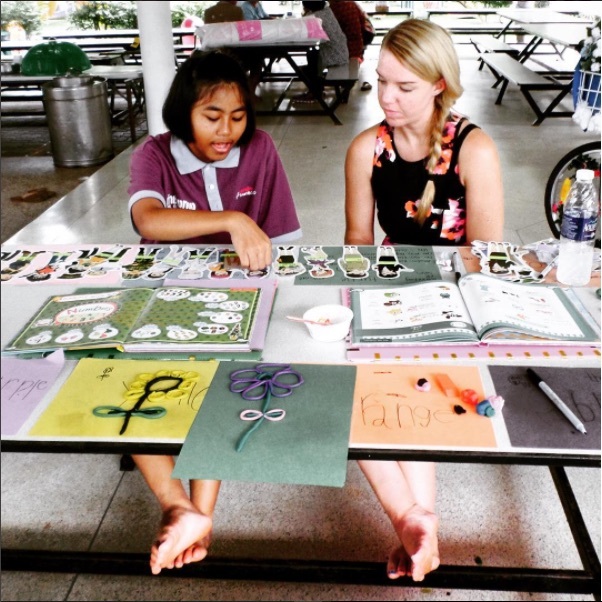 Learn more, stay connected, volunteer in Thailand, or sponsor a play date! Follow them on Instagram and Pinterest.